This entry was posted in 2UE, Personalities, Radio station, Uncategorized and tagged 2UE, Aircheck, Bad Company, Free, Paul Rodgers, Sydney radio, Tim Webster on February 23, 2014 by andrew. 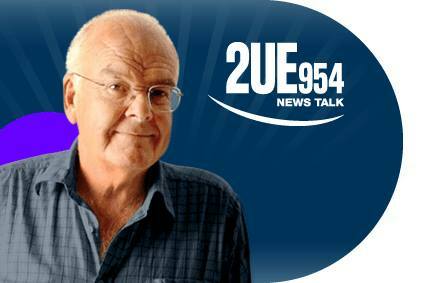 This entry was posted in 2UE, Personalities, Radio station and tagged 2013, 2UE, AFTRS, Clive Robertson, How to get into Radio, Mark Collier, Sydney radio on July 7, 2013 by andrew. This entry was posted in 2UE, Personalities, Radio station and tagged 2UE, Aircheck, Clive Robertson, Mark Collier, Sydney radio on July 3, 2013 by andrew. This entry was posted in 2UE, Radio station and tagged 2013, 2UE, Aircheck, Paul Murray, Talkback on March 24, 2013 by andrew. Just in listen to this classic. There are soo many highlights to this sequence, but especially notice how the client credit follows a rave about WOMEN’S PERIODS. And the host’s opening words “what are you calling about?” Where’s the producer? Where’s the phone person? How can listeners enter? How will they win? When should they listen to win? Is it breakfast only or other dayparts? And a caller so unimpressed by the prize that she’d rather talk about a previous topic. This call HAS IT ALL! This entry was posted in 2UE, Competition calls, Radio station on January 29, 2013 by andrew. This entry was posted in 2UE, Personalities on January 21, 2013 by andrew. This entry was posted in 2UE, 70's radio, Jingles, Personalities, Radio station on September 19, 2012 by andrew.